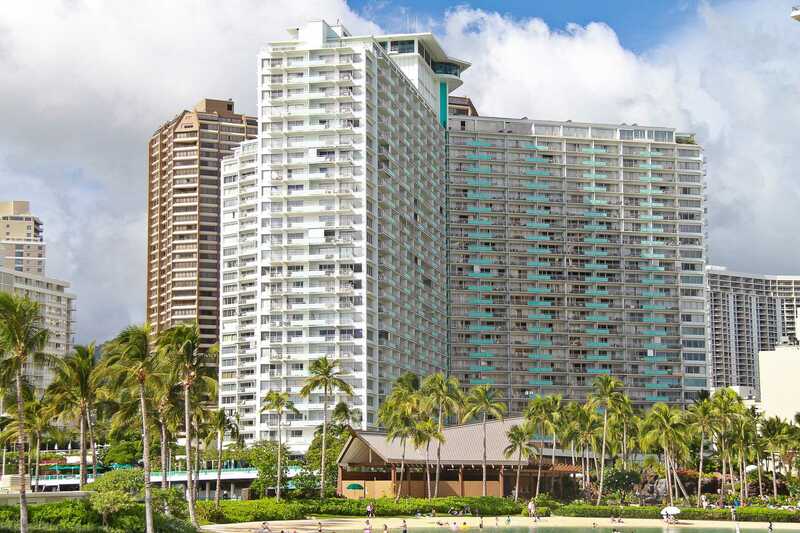 The iconic Ilikai Suites are located at the gateway to Waikiki. Tastefully Furnished & Appointed. Security included. We specialize in making your Ilikai Resort or Ilikai Marina vacation in Hawaii a special memory. Contact us and enjoy aloha starting with making your reservation. Valet parking available $28 per day, make arrangements with Elite Parking. SMOKING IS NOT ALLOWED in our condos or lanais and will result in loss of the security deposit. There are minimum stay requirements from January though March. AlohaThank you for great view and nice clean room. We had peaceful and comfortable time at 1902 Ilikai room.There were available enough equipment at kitchen. It's enough towels and sheets . Especially type of hand held shower was convenience for me.But I was trouble a little.I didn't know IDnumber of room key. I asked to HVP about how to check in by e-mail before left at Japan. But I didn't not get reply. Finally, HVP stuff came Ilikai at the time of check in and was settled. More detail information was necessary for us about check in. We emailed this Guest his condo instructions twice before his arrival. Perhaps there was a translation problem regarding access directions? It was amazing. Very clean and comfortable. Kitchenette had everything we needed. Great views and very close to everything. Easy check in. Stayed here from April 14-26.Pros: Nice clean room with outstanding ocean and marina views. Coffee/breakfast in the morning on the nice sized Lanai followed by beautiful Hawaiian Sunset views every evening.Queen bed was comfortable as well as the Pull out couch bed- according to our teenager.Extra privacy due to the location of 1902. It is next to elevator shaft, so no suites or noise directly to the left.Minor Cons:Even though everything worked nicely for us, kitchen could use some upgrades. Some other suites we have stayed in at the Ilikai have upgraded their kitchens and made them more open. * Overall, a very nice comfortable, clean condo with everything you need. The views are spectacular as is the whole Hawaiian experience.We would definitely stay here again. Thank you!! Barrie & Annnie Newenham Laurenson. A clean and fully equipped apartment with marvellous sunsets from the balcony! We have just completed a 2 week stay in 1902 and like our visit last year this unit continues to suit us very well. The view and the lanai are the two big draws. The unit itself is older in its decor and facilities but certainly meets all of our needs and the bed is very comfortable. The AC worked well but we only used it in the late afternoon. 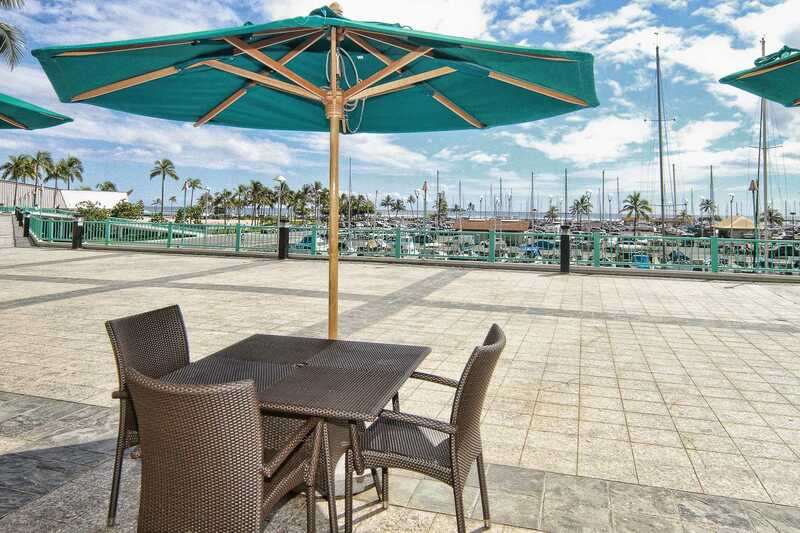 The Ilikai is in a great location within easy walking distance to just about everything. 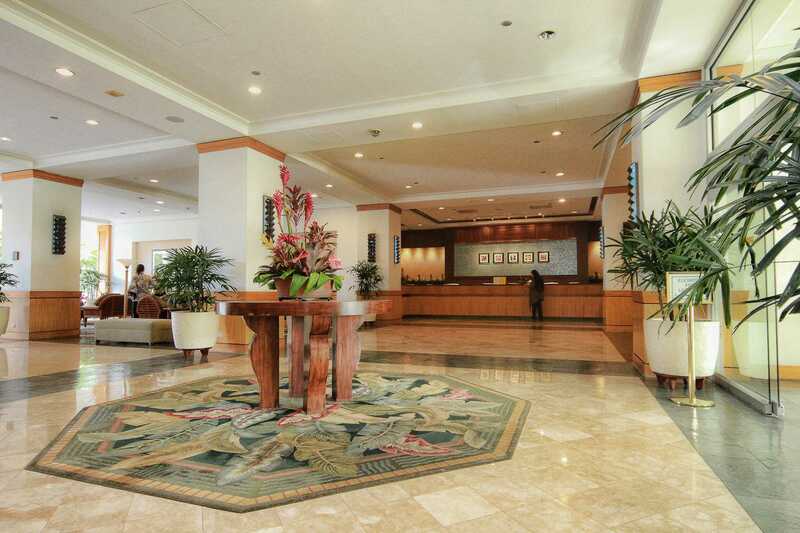 Communication with Hawaiian Vacation Properties was easy and they were very responsive to any questions. The View was fantastic from the condo. we have enjoyed our stay a lot. Except for the Sofa bed being too noisy every time you turn sides during night, everything else were just as expected. Loved the size of the apartment and the location. Lovely sunsets from the large balcony. The apartment provided all that we needed and was better than we anticipated. The condo was clean and the amenties were exactly as described by host. Comfort bed and beautiful views from the lanai. Great location and convient to everything. The view is amazing, and the bed and room are comfortable. The kitchen has everything we needed and more. Will come back to the same place and condo. also, enjoyed the beach chairs. The place is priced very reasonable. The place is in a great location with a wonderful view. The place is priced very reasonable. The owner does a great job of communicating and keeping it clean. We stayed in 1902 for 12 nights and loved every bit of it. The condo was clean and although the kitchen is not updated it was very functional and we cooked many meals there. When we used the air conditioner it worked well if a bit noisily but most of the time we just enjoyed the breezes blowing in. The lanai was our preferred location for breakfast every morning and we spent many hours just watching the boat traffic and the surfers. We have stayed at the Ilikai on a number of visits and love the location. We are planning on brooking for next year in the same unit. I stay 4 days in this condo - everything was as expected from the website, the check-in and check-out were just very simple, the view on the harbour is wonderful and so beautiful at sunrise and sunset. The furniture is simple but OK, closets would benefit from being changed but not a big deal, the bed is very confortable, a lot of space in the main room. I will come back ! We have stayed at the Ilikai suite 1902 to April 13 from April 4, 2016. The view from the window was great. We want to stay next year. We spend 10 nights at the Ilikai. We were 2 adults and 2 teenage boys. We had a wonderful time there. The room was very spacious ( even for the 4 of us), and very clean. The view over the sea and marina was just amazing. Perfect perfect sunsets. The room had a very comfortable queen bed and pull out bed which was also fine. Lots of cupboard space for all our goodies. The hotel itself was good. Pool area very inviting, even though they never had umbrellas. All staff very friendly and the onsite grocery store very well stocked with essentials. Location was good to get around. Bus stops right outside to hotel even though we never once used it. We walked everywhere we needed to go. 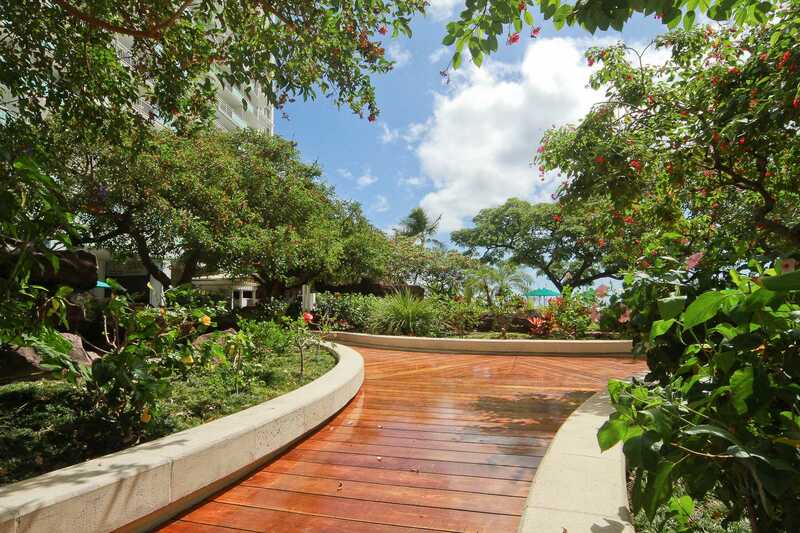 Into Waikiki shops about 15-20 min walk, and to all Moana shopping centre about 10-15 min walk. The apartment came with 2 x beach chairs, but a beach umbrella would really have been a bonus. Thanks Ilikai for a wonderful stay. The view alone makes this unit a 4 star, morning surfers, avid canoeists and sail boats in the evening added to with wonderful view. The unit was very clean, and was equipped with the basics of what you might need. Unit in general has not been updated but we did not spend a lot of time in the unit, and it was perfect for two people. Pool is always heated to 85 degrees, and attendant is amazing. We did not rent a car this time, as great bus services are available right outside the ilikai door. Ala Moana mall was only 15 minute walk, and main Waikiki beach was about 20 minute walk, so if you like walking, easy to get to main areas. The Outback, Red Lobster one block away . Cinnamons is also very good, right on site. Lewer St about 10 mins away also has many good restaurants. This is our second time at the Ilikai and would recommend it. My husband and I were looking for something economical with a convenient location. This condo was perfect! We were very pleased and had a very pleasant experience. All details were sent by email and didn't have to check in or out with anyone with the keyless entry. Very handy! We were rarely in the room since we wanted to see as much of the island as we could, but when we were there, we felt right at home. Bed was comfortable and loved the big lanai! Nice location between Waikiki and Honolulu and to access bus routes if needed. Would definitely book this again! Thank you for a comfortable stay. Enjoyed the view of the beautiful sunsets, harbour, and city from the lanai. Great wifi. Room was clean and had everything we needed for our stay. Would like to come back for another stay. After scrolling the internet for accomodation, settled on 1902, great room, just as the picture displayed. Great afternoon sunsets, great location, Ala Moana etc. And not to noisy. I moved the sofa around so could look at the views, and watch TV rather than looking at the bed. Maybe should reconfigure the room a little. My only gripe was I couldnt get the 'American style' lamps to work !! and also left all the kitchen cupboards open to air out as they smelt musty. Apart from that great room. P.S travelled alone and felt very safe in Hawaii. Friendly locals and easy to get around. Especially the Pink trolley around the city etc. *Mahalo for your feedback. 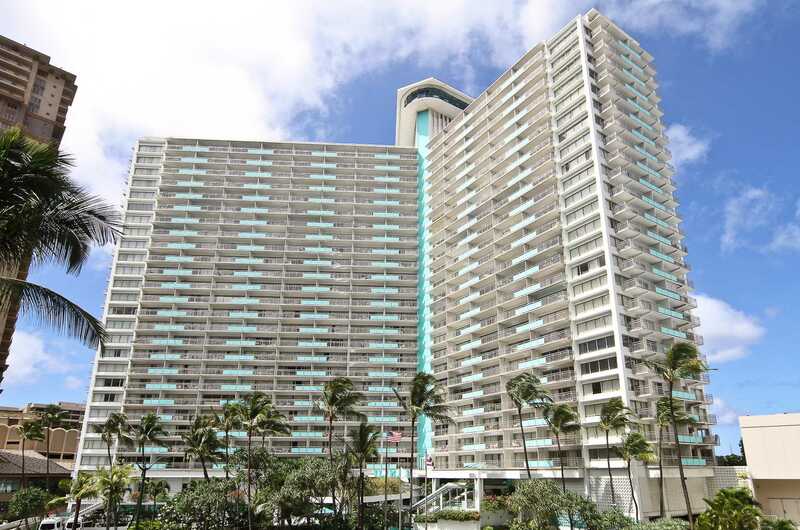 We are so happy that you enjoyed our condo #1902 with the gorgeous panoramic ocean views. *Regarding Lamps, they are standard lamps, but in the future, please just give a us call and our Manager on Duty can stop by *and offer you assistance if you have problems with any appliances or fixtures. Suite 1902 was in a great location with a nice view of the marina. It's a little dated but we were verv happy with all of it. We did eat there at least once a day so I would say that they could use more dishes and towels. I was very impressed with the check in, it was so easy and the the staff was so friendly. 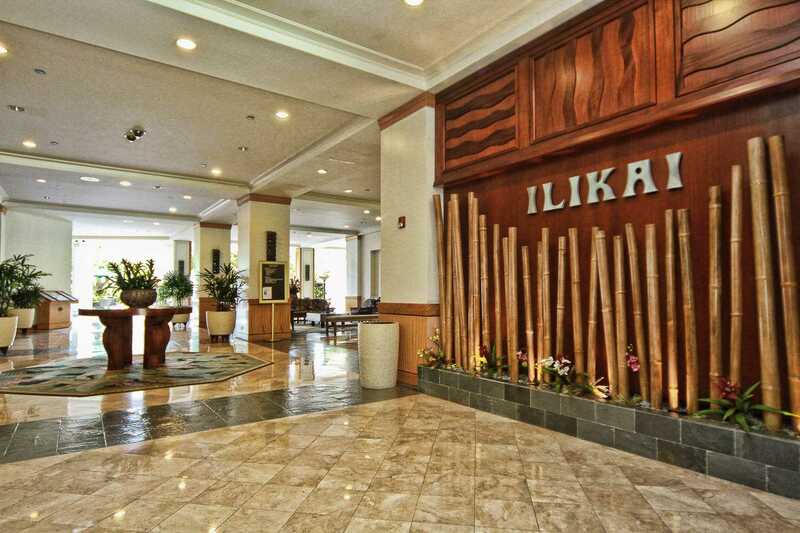 We stayed at the Ilikai for the second time and once agin everything was just perfect including the booking. We will definitely come for a third time next week. We stayed in 1333 and 1902 and enjoyed both! Very clean, spacious and nice! I spent 10 days in this suite in January 2015. The views from this suite are amazing. 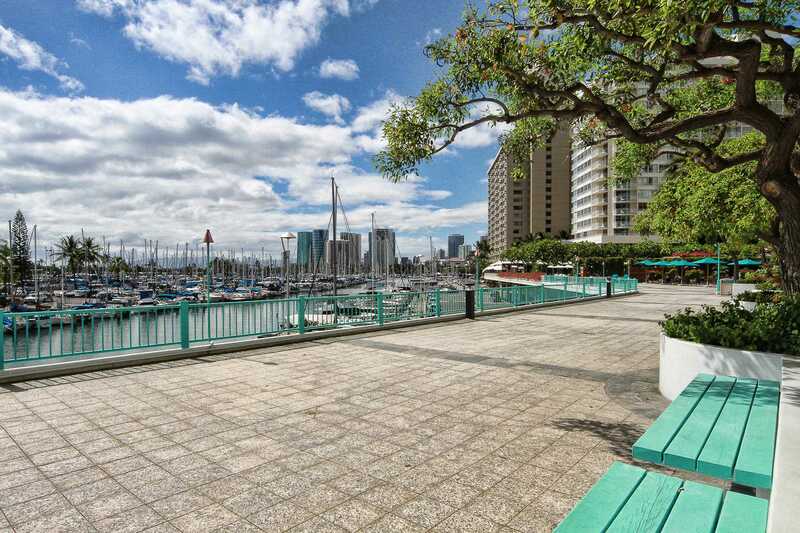 The property overlooks the marina and ocean and there are no other units that look in. There is a lot of privacy, both in the room and on the lanai. The suite faces towards the west so the sunsets are amazing. The bed is comfortable and you can see the view while laying in bed. It's a great way to begin the day. Nice breeze keeps the room cool. The kitchen is OK. There are enough plates and pans to get by, but it is not well stocked by any measure. Everything else about this room was great. We loved the condo and the building itself was very safe and beautiful. it met all of our needs and expectations!! The condo was wonderful, beautifully decorated, we had everything we needed. We enjoy the breathtaking sunsets from the balcony...the beach is just 3 minutes and all the stores you might need are just around the corner... Goodplaces to eat and bars to watch sports...Thank you for contributing to the wonderful experience!!! Truly great unit for cleanliness, decor, views, convenience. Fitted out beautifully and comfortably for wonderful holiday at Waikiki. Convenient to everything including the beach, lagoon, shops, walks, transport and tours. Hope to return one day. We were delighted with the condo and views,spotlessly clean,and every convience. Response: Thank you for your feed back. Owner has replaced the AC. New AC installed Aug 18. We hope you can return very soon. Mahalo! The condo was nice. My husband and I both agree the couch bed was the most comfortable one we have ever slept on. There were 4 of us in the condo, which is really only one room so we were a bit cramped, but it was fine as we were only there a few days. One problem we had is that the air conditioner seems a bit small for the condo and not in a great location so it was very warm in the room pretty much the whole time. I would suggest a larger unit or a ceiling fan to help the air circulate. I did contact someone and they brought us a fan for the remainder of our stay, but it really didn't help very much. We had to keep the curtains closed the whole time to try and keep it cool so we didn't get to enjoy the view very much. Also, the bathroom sink has very strong water pressure to where it splashed water all over the counter every time we used it and I feel that a new shower head would be nice. Obviously, these are just my opinions and may not bother other people. Overall, it was a nice place to stay for the short time we were there. I wouldn't want to stay there for longer than a few days, but the location was great, beds were very comfortable, and views were decent. Also, the restaurant in the lobby had very good food and the concierge helped us greatly with figuring out the bus system and renting a car. Response: Mahalo for your feedback. The AC has been replaced with a new and more powerful AC Aug 18. 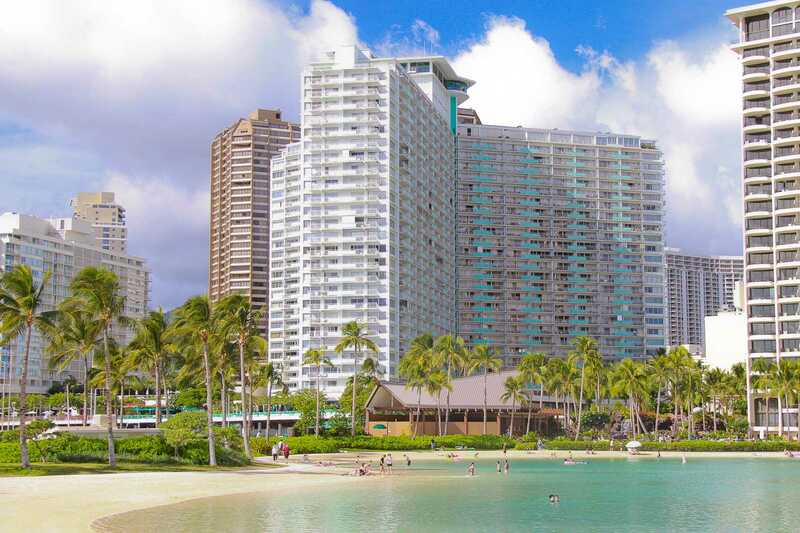 I highly recommend this condo if you are heading to Waikiki. I've stayed in several hotels and condos in the area, and this one is the best combo of value for money I've come across. The view alone makes it worth it! I spent 4 nights over Memorial Day weekend there. I could see the Lantern Floating ceremony from the lanai! The Friday night fireworks go off right next door. The condo is nicely decorated, maybe not the latest fashion, but neat and clean. Check-in and -out so easy. It was my first visit to Hawaii April 2014. 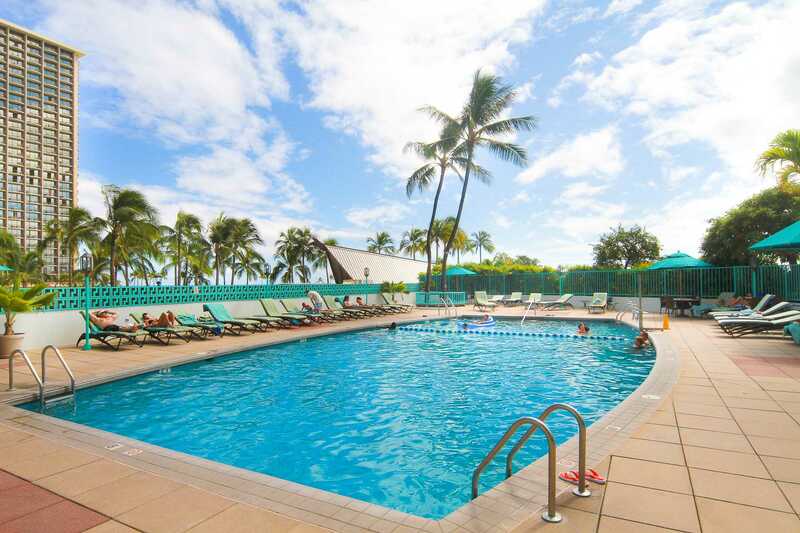 I really enjoyed my stay at Ilikai suites. I slept on the fold out couch and was very comfortable. View and location was great. I would choose this suite again. Also property mgmt was very accommodating to a special request. Thank you!